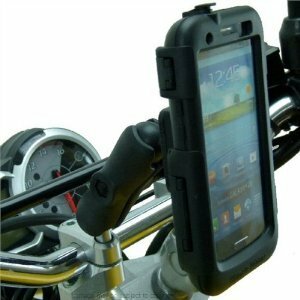 Have you noticed how advanced some of tech is on motorcycles is lately? Mind bending acronyms surround the purchase of any machine, ABS (Anti Lock Brakes), DTC (Dynamic traction control), DDC (dynamic Damping Control), ASC (Automatic Stability Control) and of course GPS. 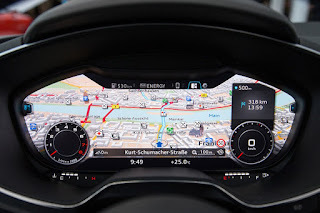 Just saying those acronyms out loud above hurts my brain, but I had a strange thought after reading about the BMW Nav 5, well impressed as I am by it (and yes I want one), but a thought occurred to me - how long will it be before the standalone GPS completely bites the dust? I will be in my early sixties in twenty years time, will we finally have gravity sussed out and be riding hoverbikes by then, or what? Buying a Satellite Navigator for the Cage used to be super expensive too, and gradually over the years they have come down in price to the point where you can get one on sale at Aldi for peanuts now, and people buying a new Cage would think it ridiculous not to be integrated into the Cage itself, alongside its bluetooth connection, reversing camera and triple side airbags. Used to be only a handful of good devices that were waterproof, shock resistant and worked with gloves (resistive touch screens are an awful experience) and they were big money. Whereas now, most people simply use a smartphone attached to their bars, having no need for a single unit that has to be attached, wired, secured, charged etc. The BMW Nav 5 is still what I consider to be big money for a standalone unit, and it requires another thing too - a bike appropriate cradle. You are not going to get much change from around $1500 AUD at the time of writing for a BMW Nav 5, and that's the top of the range. 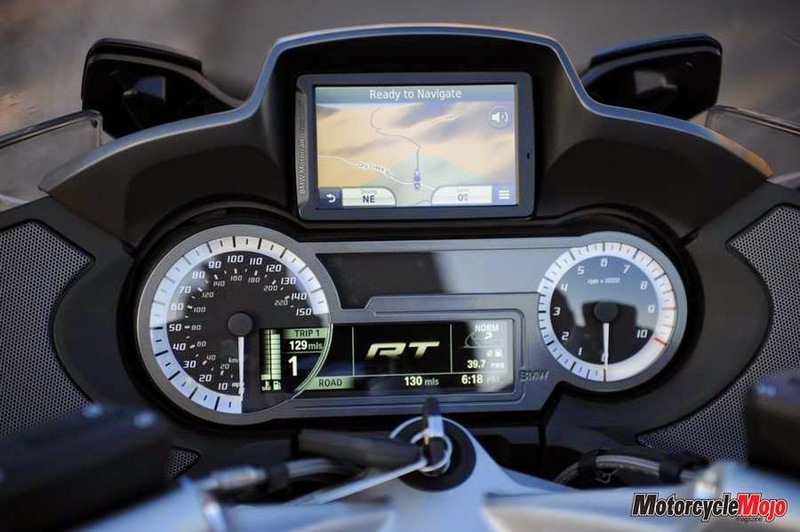 But look how it has been incorporated into the 2014 BMW R 1200 RT. It looks like it grew there, the integration is that good. Another part of its beauty lies within the app it pairs with, Basecamp in Garmin, allowing you to do all sorts of cool stuff with maps. 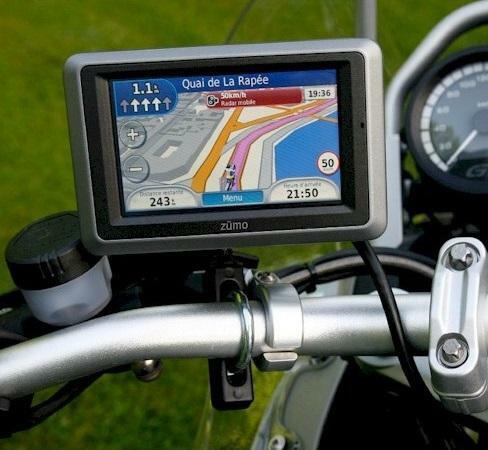 The other serious choice for a good motorcycle unit is the Garmin of the non BMW variety, in particular the Garmin Zumo 660LM and the smaller brother Garmin Zumo 390LM are reportedly excellent units. If you want to stick one on your bike good for you, I'm just not buying it. Not at $600++ and they are still big and ugly-looking and of course - an obvious add-on. But all in all, these are still just GPS units, albeit ones that can store your MP3 music library on and download your GPS history and map it in 3D - but I want more and I want clever integration. So the question I want to ask is this. When you can have all of that, and so much more in a smartphone at a fraction of the size, why can't all of that be integrated into a piss elegant integrated motorcycle dashboard? Not just a smartphone screen, but a series of cleverly designed and organised dashboard monitors that include a full screen Sat Nav, with essential info like your speedo as an overlay? Maybe it isn't that far away? Audi has been working on this for their Cages, and you can get it right now in the 2016 Audi TT. I saw this on a billboard cruising up the freeway recently, a first of its kind as far as I know, and exactly what I want on my next motorcycle. A fully functional GPS Satellite Navigation system build into the dash. Perfect. Perhaps Audi with the acquisition of Ducati are developing something like this on the next Multistrada? I guess we can only wait and see. 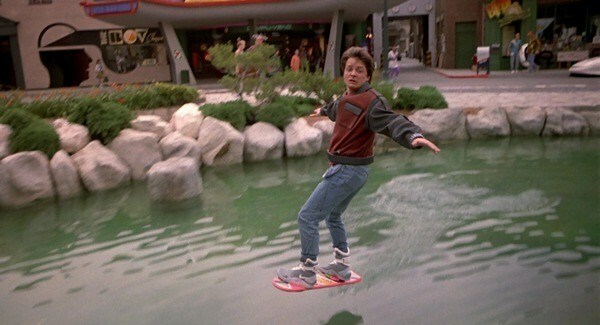 What do you think, is the stand alone GPS unit a thing of the past? Let me know in the comments beloooooow.